It’s official! 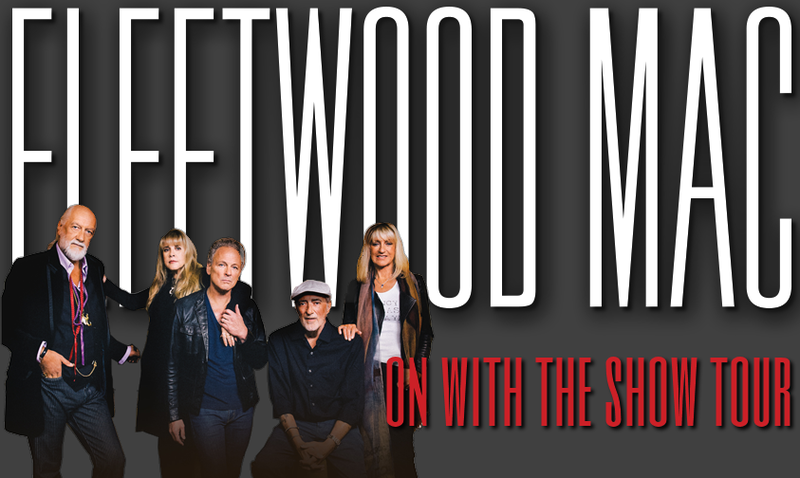 After a 16-year absence, Christine McVie will be re-joining Fleetwood Mac band mates Mick Fleetwood, John McVie, Lindsey Buckingham and Stevie Nicks as they launch the On With The Show Tour. Exclusively promoted by Live Nation, the tour will kick off on Tuesday, September 30 and the reunited band will perform 34 shows in 33 cities across North America. Christine has not toured with the band since 1998’s The Dance Tour….now is your chance to win tickets to the November 20 show at the Tacoma Dome! Text BIG to 96750 to enter to win! *Must be at least 18 years of age to enter and win. Must reside in the Greater Seattle Metropolitan area. One winner per household. Unlimited entries will be accepted. msg/data rates may apply. Winners will receive confirmation of entry via text message. Alternate means of entry at jackseattle.com.